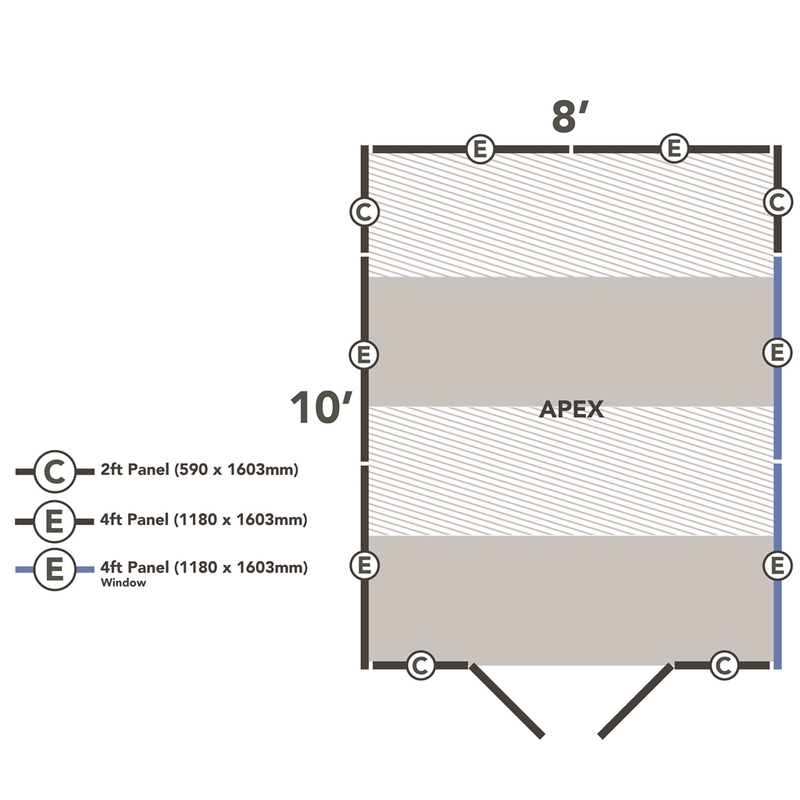 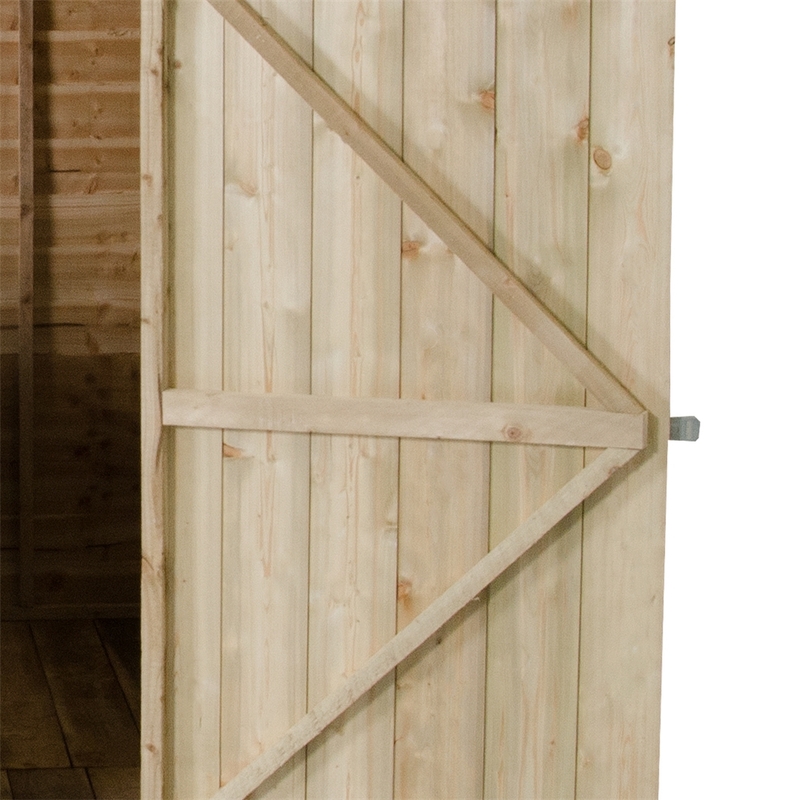 The Overlap Pressure Treated 10x8 Apex Workshop has a practical and traditional design and is built to last. 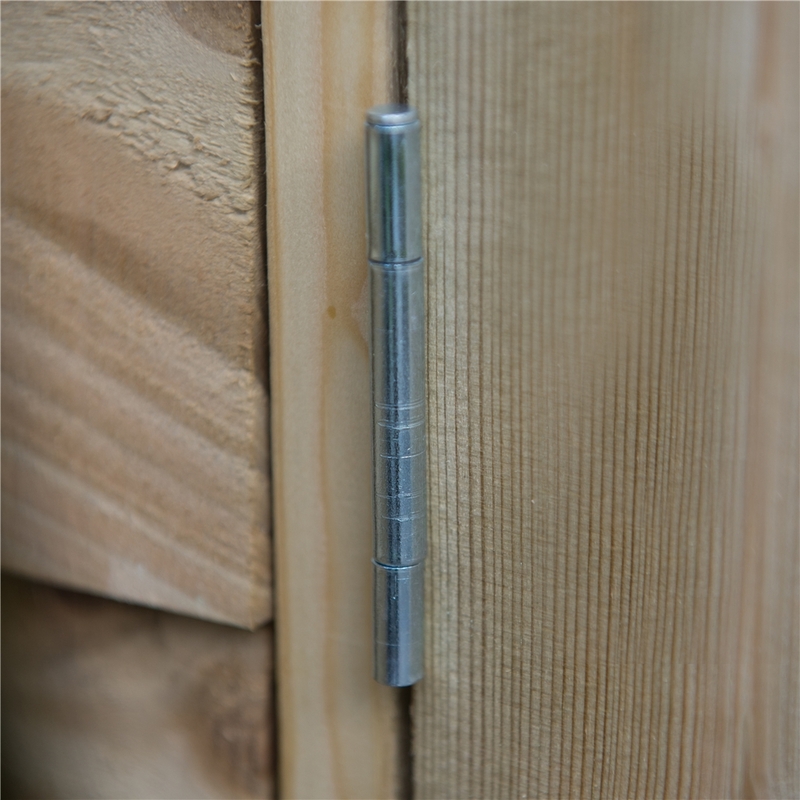 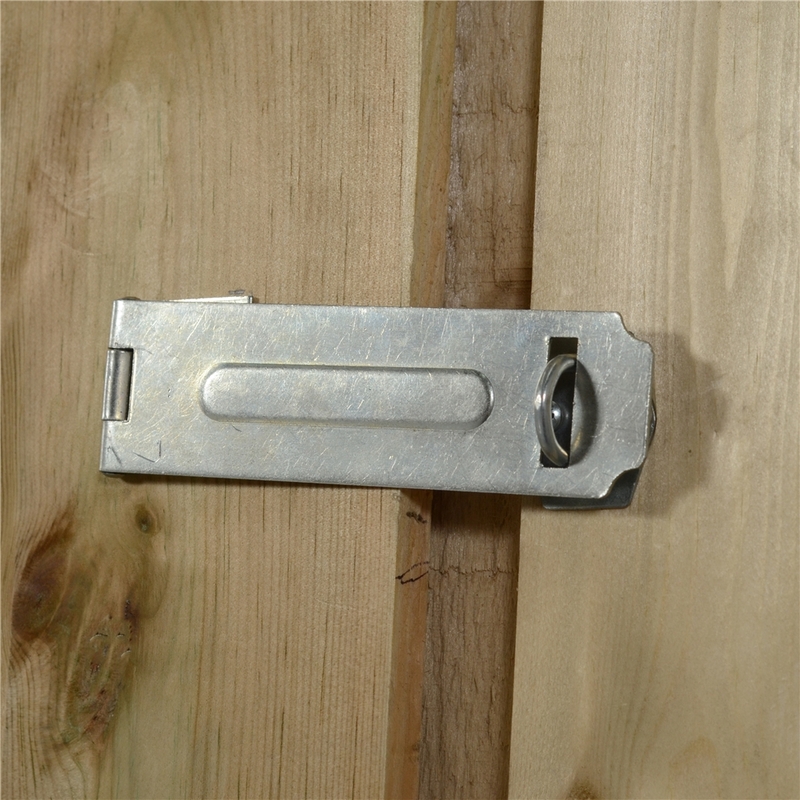 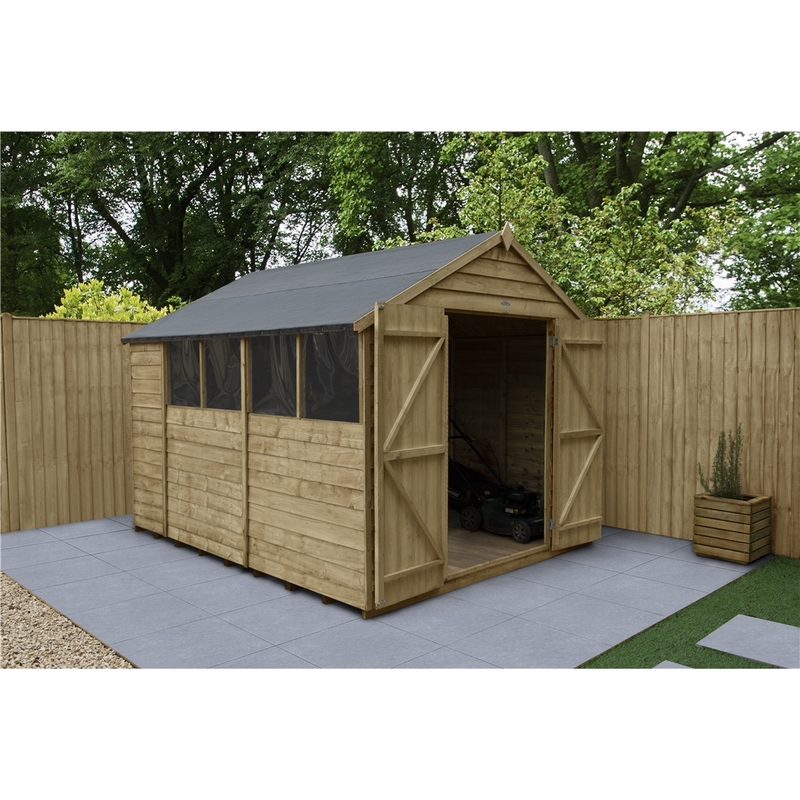 It will help keep your garden clutter free and offers a secure space for you to store garden equipment. 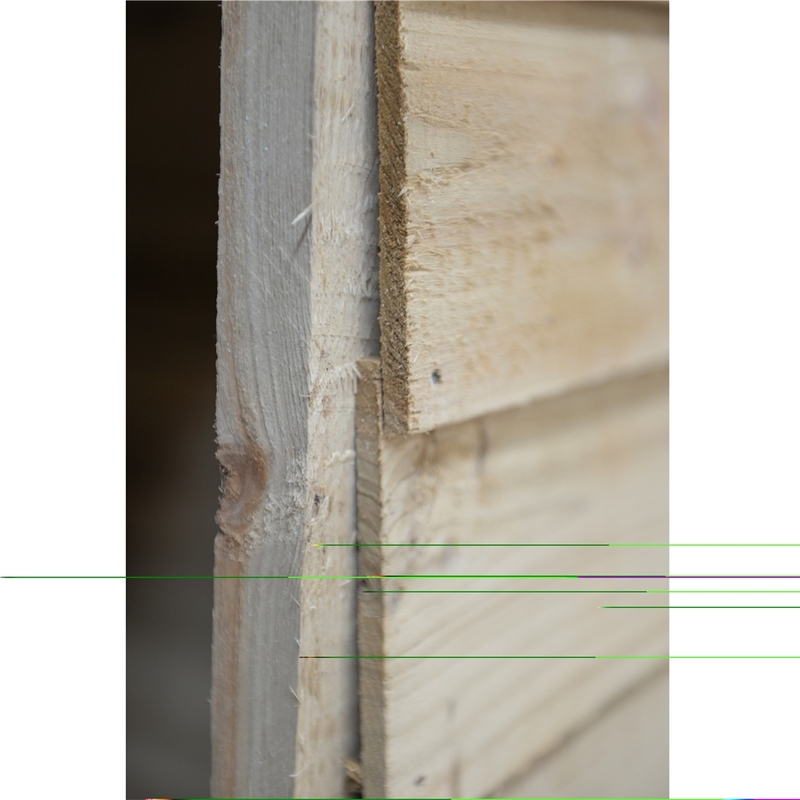 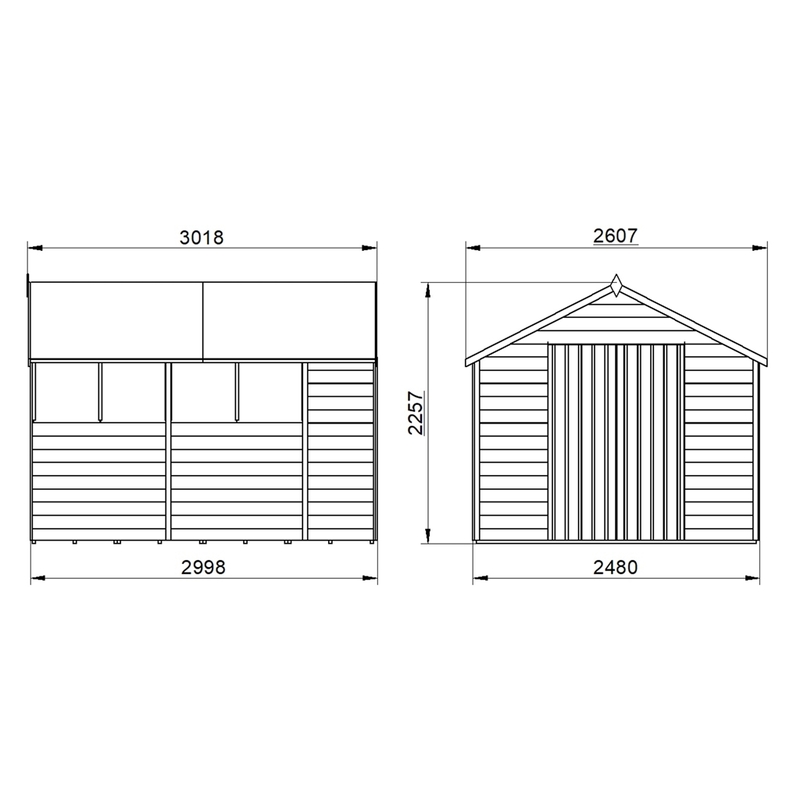 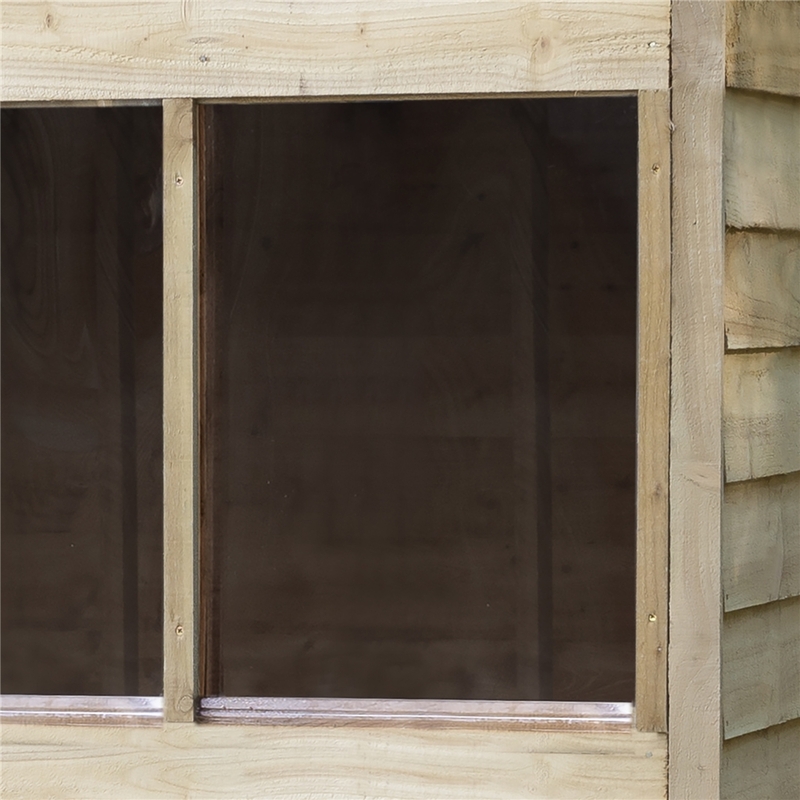 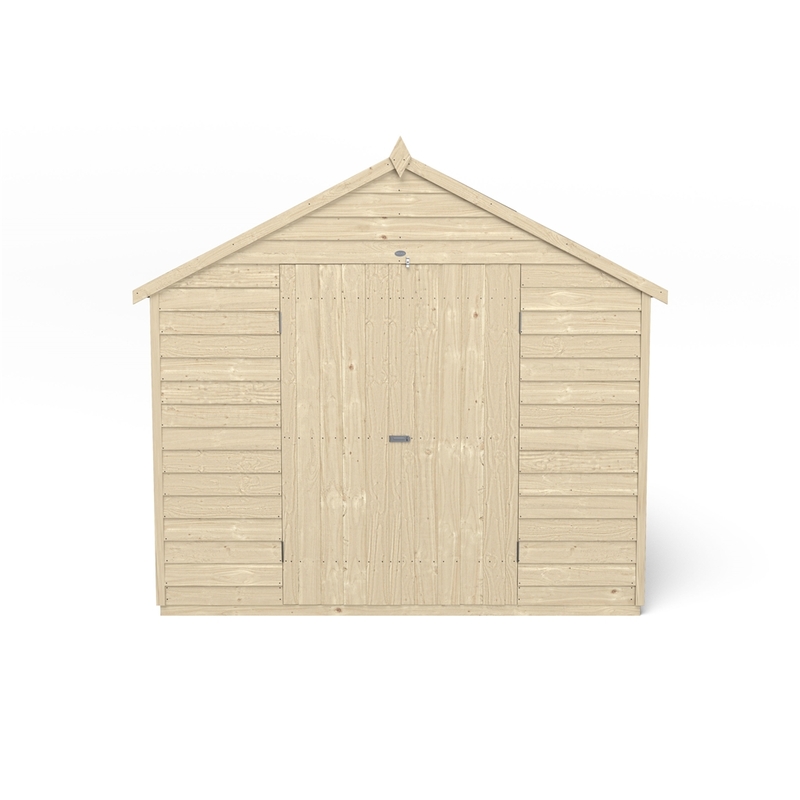 Its superior size, double doors and 4 fixed windows make it an ideal workshop space and the Pressure Treated solid timber boarded floor allows for the storage of heavier items such as lawnmowers or bags of compost. 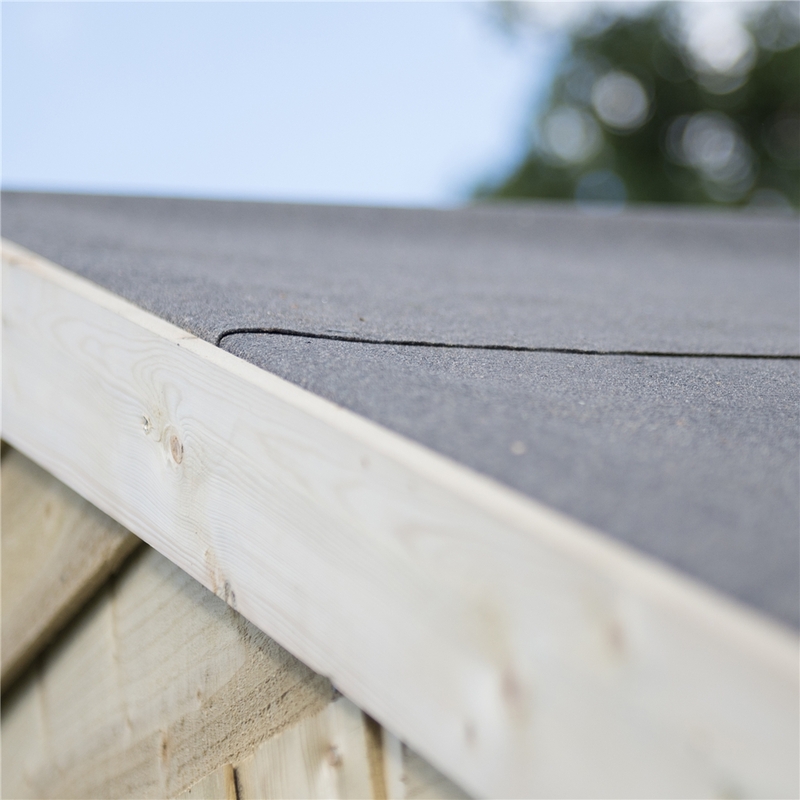 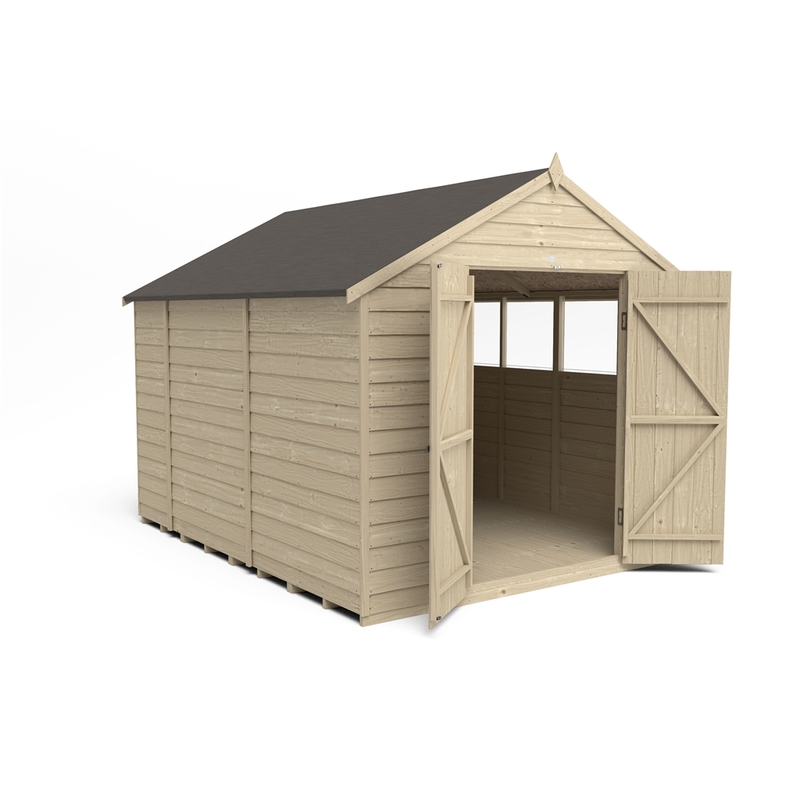 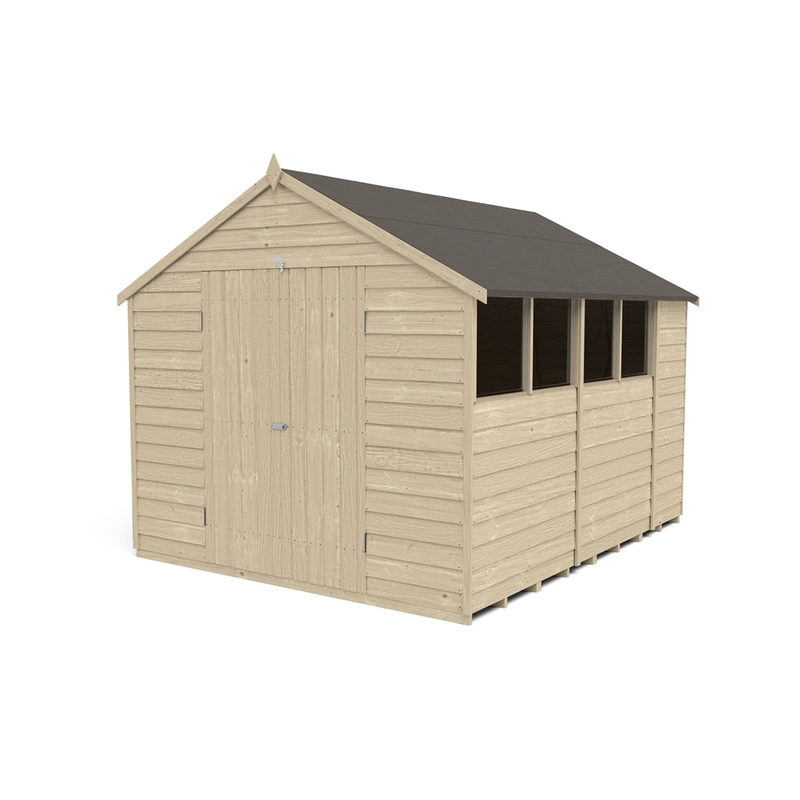 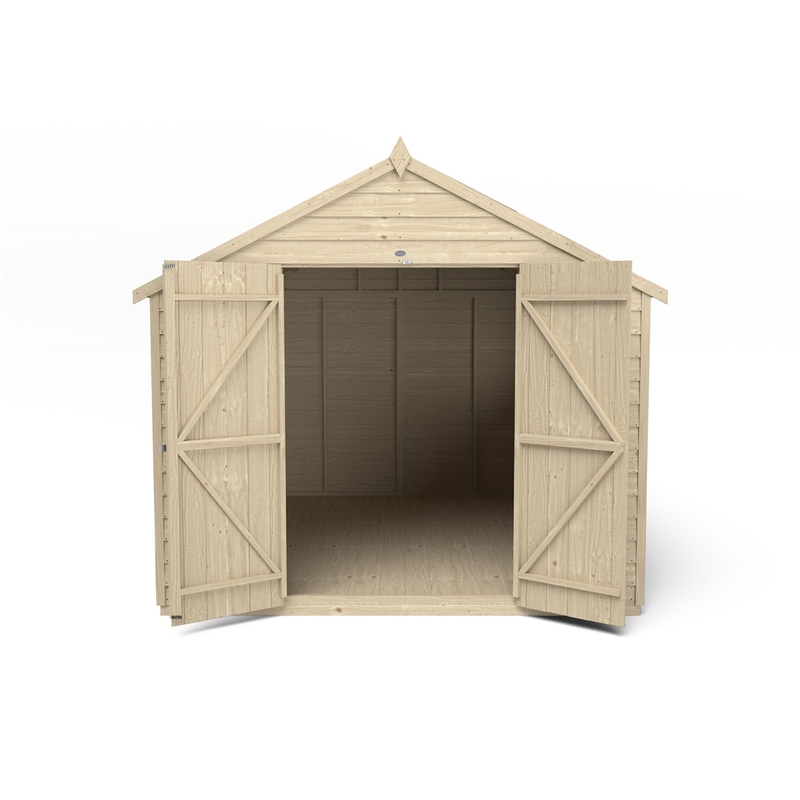 All fixtures, fittings, felt needed to build this 10x8 shed are included, along with easy to follow instructions.